Movie posters cover the walls of the American Treasure Tour's Music Room like wallpaper, in some parts. One of the lesser-known movies on display here is the 1955 Mickey Rooney film The Twinkle In God's Eye. Set in an old west town, Rooney's Reverend Macklin has come to town to rebuild a church burned down by hostile Indians, only to discover resistance by the unruly inhabitants of the town, most notably the owner of a gambling hall, played by Hugh O'Brian, who doesn't want anything to distract his customers from his trade. Not the most successful film in which Rooney ever starred, The Twinkle In God's Eye proved an entertaining morality play. It has yet to be released on dvd; however, you might be able to obtain a copy on videocassette. All our younger readers should feel comfortable asking your parents what a videocassette is. Born in 1920, Mickey Rooney began acting at the ripe age of fourteen months, and hasn't stopped since. With a career spanning ten decades, Rooney is one of only four surviving actors who performed in what type of film? History has its ups and downs, to put it mildly, and today in 1860, a sad thing happened for the United States. This was the day that South Carolina announced its intention to secede from the country. Over 150 years later, there is still disagreement as to the motivation for this action, but it did lead directly to the circumstances that, four months later, resulted in the first shots that led to the Civil War. The anniversary of this event can, hopefully, give us pause to be grateful that our country's unification is beyond doubt and that such a thing will never happen again. 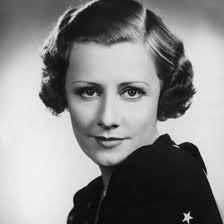 Irene Dunne began her acting career on Broadway, getting into movies in her thirties. Her beauty and skill made her a natural and, during a film career spanning only twenty-two years, she was nominated for five separate Academy Awards for acting. Her most recognizable roles were in 1937's The Awful Truth opposite Cary Grant, Love Affair with Charles Boyer, and I Remember Mama in 1948. A twentieth-century comedy great was born on this day in 1924. Charlie Callas made Americans laugh with his combination of physical comedy and sound effects. Callas made a name for himself as a regular guest on The Tonight Show with Johnny Carson and in many Mel Brooks films, including Silent Movie and History of the World, Part 1. He died at his home in Las Vegas at the age of 86. Answer: b) Silent. The other two survivors are Jean Darling, Carla Laemmle, and Baby Peggy.